Here, in no particular order, is a list of Friends and Preservation organization websites, whose efforts and endeavors we wholeheartedly and enthusiastically endorse and support. “Click” on any of the titles or images to visit their sites. Thank you. Please be patient while page loads: there are many photos. A beautiful new site created by Darin Scorza to honor his father, Navigator Samuel D. Scorza and this B-24 8th Air Force Bomb Group. Wonderful unpublished photos and recollections of this highly decorated group. We Support Our Troops is a moving, visual and musical tribute to our armed forces, then AND NOW. Works best if you have sound and takes a while to load but it is well worth it. Written, created and produced by Rob Child, This outstanding videotape is the sweeping epic story of Gettysburg as seen through the eyes of the soldiers who were there. In mid July 1863, Union Lt. Frank Haskell wrote a letter home to his brother, which many historians consider the most vivid and well written eyewitness account of the three day battle of Gettysburg. This letter forms the narration and emotional narrative of Gettysburg: The Boys In Blue & Gray. It weaves together seven full scale battle reenactments and twenty scripted scenes that along with archival material and a stirring soundtrack transports you back to the America of 1863. Journey back with us to Gettysburg! This is an incredible website but be forewarned. It is not for the faint of heart, as it contains many graphic and disturbing images. Devoted to remembering 9-11, it may bring you to tears as it reawakens the deep seated emotions of fear, horror and outrage felt by so many Americans as we all watched in disbelief on that terrible day. Created by a dedicated New Yorker, it serves to remind us of the loss and tragedy as well as the heroics, devotion and pride. May we never forget. God Bless America! Let’s Roll! Great website devoted to Mitchel Field, the Historic WWII Air Force Base on Long Island, NY. Also covers the WWI base, Camp Mills and early aviation on the Hempstead Plains. My hometown of Yorktown Heights, NY, known earlier as the hamlet of "Crompond", played an important role during the American Revolution. Visit the YHS's outstanding site to learn more about their local history. Visit the website of Rockland County's own 95th NY Infantry Regiment. Historian Lance Ingmire brings you the history of this storied unit that charged the Railroad Cut at Gettysburg. Help to preserve and restore 2 of their battle flags. SUPPORT OUR TROOPS! Honor your family member(s) serving in the Armed Forces during "Operation Enduring Freedom". Proudly display a "Son In Service" banner in your home's front window. Organizational Banners also available. Some of the Patriotic WEB GRAPHICS used on my website were created by Dawn. Visit her site for other great web graphics and items. The Civil War Preservation Trust (CWPT) may be the oldest C W Battlefield Preservation Organization. Created by the merging of the Association For the Preservation of Civil War Sites (APCWS) and The Civil War Trust (CWT) a few years ago, the New organization, like its 2 predecessors has a great track record for preserving Civil War sites. They just announced their "Most Endangered Battlefield" list. Visit the 13th North Carolina Infantry Regiment as they accurately re-enact the battles of the Civil War. Along with the Living History Association of Mecklenberg, the 13th NC are spearheading the drive for the North Carolina South Mountain Monument. As the President and Program Director of the RCWRT, I invite you to join our organization for outstanding monthly meetings, field trips and preservation projects. Visit our site for the latest info on upcomong meetings, speaker presentations and trips. Support the Society dedicated to honoring Lee's "Old War Horse", General James Longstreet. 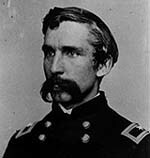 A fun site created by Patricia Finnegan, devoted to preserving the memory and deeds of Joshua Lawrence Chamberlain. War hero and politician, he did much more than just defend the left flank at Little Round Top. A new Grass roots preservation group doing outstanding work preserving Civil War sites in Central Virginia. The Tamaroa Maritime Foundation is dedicated to saving and preserving the USCGC Tamaroa 166. This historic vessel was born the USS Zuni ATF 95 during WWII and won 4 battle stars during that conflict. In her second life as a Coast Guard Cutter, her unbelievable rescue efforts were chronicled in the feature film “The Perfect Storm”. Help SAVE the TAM! The Meade Society of Philadelphia meets once a month and is devoted to memorializing the Heroe of Gettysburg. Preservation projects and scholarship funds sponsored by the Society work to perpetuate and honor the memory of General George Gordon Meade. Visit The Meade Archive to view photos and information on General George Gordon Meade. Here is a great site dedicated to another 14th AF, 308th BG Aircraft, “Miss Mandy”. Created by Bob Donnan to honor his father, 1st Lt. David Donnan, Navigator, this site has some wonderful photos, stories and memoribilia from this 374th Squadron B-24J. May we never forget. This website records the history of the 15th Field Artillery from WWI right through to the present. Great research information on many different types of artillery pieces. A quality historical publication, each issue is devoted to one specific battle and includes the legendary "General's Tour". 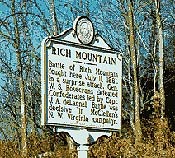 A small, local Battlefield preservation group in need of your support to preserve and maintain the Rich Mountain Battlefield. One of the many Maryland camps of the SCV, devoted to preserving the heritage of Maryland Confederate soldiers. My friends Bill and Carla Coleman write and perform wonderful Civil War music, inspired by the romance, honor, tragedy and heartbreak of the Civil War soldier and his times. The great site is devoted to the B-24, the most produced bomber of the war. It covers all variations from all theatres of operation. Great pictures, history and chat room. The official website of the 308th Bomb Group. A wonderful site with photos, history and chat rooms maintained by veterans, their families and historians and dedicated to the memory of the Forgotten 308th Bomb group. World War II Families for the Return of the Missing (WWRM) Mission Statement: To work jointly with JPAC (Joint POW/MIA Accounting Command), DPMO (Defense Prisoner of War/Missing Personnel Office), and the Repatriation Divisions of the US Armed Services to bring final resolution to the Families and Friends of our Missing American Personnel from World War II. We advocate for the Families and Friends to bring these service members home to their Final Resting Place. About Us: WWRM (World War II Families for the Recovery of the Missing) is an advocacy group of volunteers that can assist in the confusing and often frustrating process of locating and repatriating the remains of our missing service personnel from World War II. There is no fee charged although donations are accepted.